Welcome back to Lawn Chair Catechism. We’re up to our seventh session this week, but you can find details on the whole project, links to past posts and the CatholicMom.com landing page, and more at my page dedicated to Lawn Chair Catechism, found here. 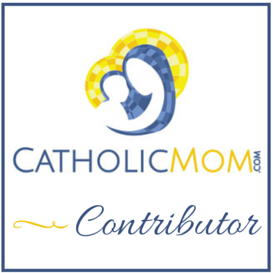 I’m feeling a little under the weather this week, so I’m going to refer more to the study guide provided by CatholicMom.com and ask for your comments on the study questions. actively seeking Christ – he or she may not even know who Christ is. It is essential that we help people wrestle with the ﬁrst, most crucial issue of a personal God. Those who don’t believe in a personal God and the possibility of a relationship with that God will never be able to move beyond the threshold of curiosity. It is very important that we tread lightly. You can easily quench inquiries by drowning a teaspoon full of curiosity with a gallon of answers. How to arouse curiosity? A life of faith – prayer, trust in God, works of mercy – is inherently curious. Whether through word or action, one of the most helpful ways to arouse curiosity is to pose a question. Jesus was a master of asking questions that made you sit up and think again. Jesus didn’t so much run “Q and A” sessions as “Q and Q” sessions. In fact, he almost never gave a straight answer to a straight question. to an encounter with the person of Jesus. leaders, even those deeply interested in evangelization, think of the faith as essentially passive. essentially passive stages of spiritual development, such as trust and curiosity. meet the currently un-met spiritual needs of parishioners, lapsed Catholics, and outsiders. just waking up to mature discipleship? How would you explain the difference between an active and passive faith? him? Introduce him to others? Who would help him answer his questions? Lawn Chair Catechism, Session 6: Who Can You Trust?